Fashion Icon Awards is scheduled for September 6, 2014 at the La Palm Beach Hotel in Accra. Tickets are going for a COOL 50Ghs. Red carpet starts at exactly 6pm GMT. The night will also see top dignitaries grace the event, with the Minister of Tourism, Hon. Elizabeth Ofosu-Agyare leading the pack and also expected to do the official unveiling of the awards plaques. The event will also see celebrated fashion designers such as Allan David Collection, House of Eccentric and Mina Evans; all display their best on a mini fashion parade show as Hogan will take charge of the rib-cracking moments. Screen goddess- ChrisKata and her fellow hype man- Merqury Quaye from Sound City Ghana will handle proceedings all night long. But for those who have missed the sassy SELLY of the BBA-The Chase, she will be hosting you on the red carpet. The event would be broadcasted live by Channel 5 TV network on Multi TV Cable, Spice TV, and Channel 192 on DSTV. The night promises to tell the connectivity between music and fashion, and celebration of pride when it comes to those who have given their all to see that the Ghanaian fashion industry maintain its richness. The event is sponsored by Woodin, Dark & Lovely, Geodrill, Sleek MakeUp, Bel-Aqua, La Palm Hotel, Soundcity, Spice TV, Merqury Republic, Arc Entertainment and DDP. For more information call +233274455561, +233549505951 or visit www.fashioniconsawards.com. 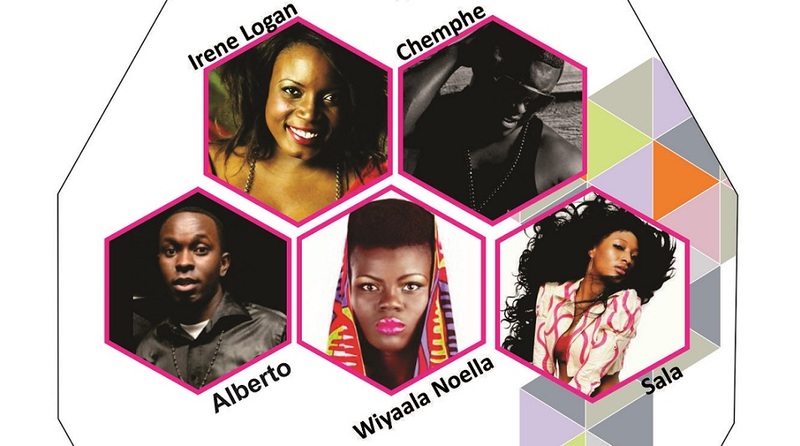 Wiyaala, Irene Logan, Sala, Chemphe for 2014 Fashion Icon Awards on September 6 at La-Palm Hotel 0 out of 5 based on 0 ratings. 0 user reviews.